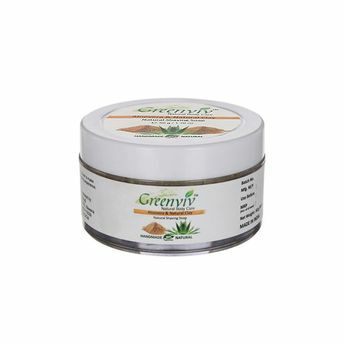 A natural oil based shaving soap, Greenviv Natural Shaving Soap is unlike any other regular shaving foams available in the market. It does not displace your skin's moisture or essential oils and does not clog your pores, thus offering a much smoother shave and much healthier skin. This is the best and effective attempt at making a shaving soap that provides a perfect lubricant between a blade and your face, which produces a voluminous amount of lather with minimal effort, and boasts a fantastic fragrance to boot. Explore the entire range of Shaving Cream, Foams & Gels available on Nykaa. Shop more Greenviv products here.You can browse through the complete world of Greenviv Shaving Cream, Foams & Gels .